Mike and Matt Romine made it to Chopped: Beat Bobby Flay by working as a team to win out over a batch of fellow sibling chefs. The twins worked so well together, it would be a crime to split them up. Of course, that’s exactly what happened tonight, as the show pitted brother against brother for the sake of stirring up some heated family drama. 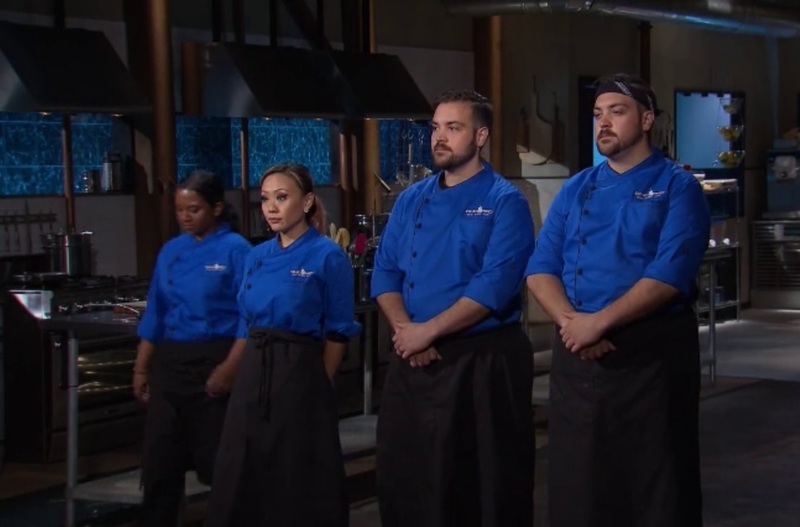 Producers definitely wanted the two Romine brothers to make it to this episode’s final round, but in the words of guest judge Aarón Sánchez, the whole thing was a “super-big letdown,” thanks in large part to Mike Romine’s mediocre appetizer dish. 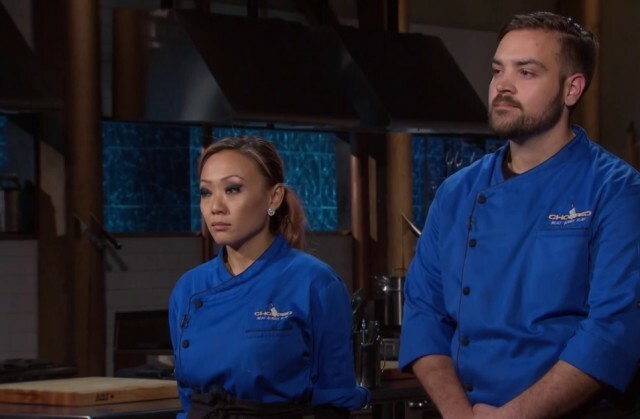 Mike found himself on the chopping block after his kale-crusted lobster cake floundered, leaving his brother as the only member of the Romine family to advance to the next round. Mike wasn’t the only Romine brother to disappoint the judges. In fact, if it weren’t for his brother’s failure, there’s a good chance he would have been the one sent packing. 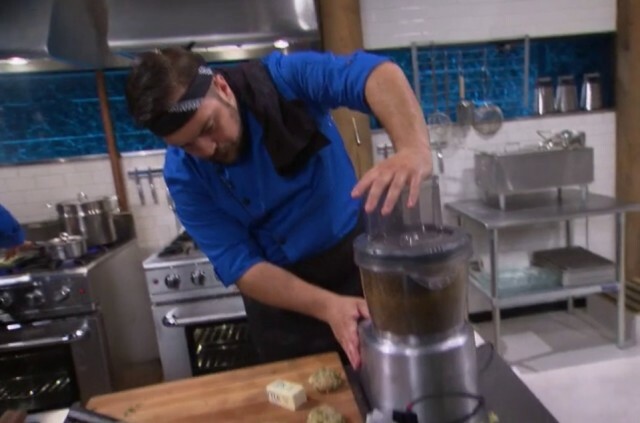 He completely forgot to include one of the ingredients required for his dish, an error that arguably should have gotten him chopped long before he reached the final round. The zucchini error ultimately proved to be incredibly costly for the remaining Romine brother, who managed to make it to the final round before being beaten by Kathy Fang. The judges just couldn’t look past the fact that Romine omitted such a crucial ingredient, and it ended up costing him a chance at the $40,000 grand prize (assuming, of course, he had beaten Bobby Flay himself — no guarantees there). Pitting the two brothers against each other was a promising move, but it just didn’t pan out. What began as an intriguing twist on the same old competitive cooking show formula quickly turned into just that — a typical competitive cooking show. At least we can take comfort in knowing that the judges weren’t tempted to let family drama win out over genuine talent. It’s nice to see contestants judged for their talent, and not just for their potential to make the show more interesting. What did you think of the Romine brothers on Chopped: Beat Bobby Flay? Comment and share your opinion below.